If you are interested, come back later and check them out. Singapore is known as a global commerce, finance and transport hub. You find there everything what makes a modern city, but it also is influenced by its different inhabitants which coming from China, Malaysia and India; and there also is a large group of workers and expatriates from all over the world. In addition, Singapore excels due to its tropical climate, tasty food, good shopping possibilities and a vibrant nightlife scene. Therefore, it is the perfect springboard into the region of Southeast Asia. This island city-state has – of course – a lot to offer for discerning travelers. The number of luxury hotels and superb fine dining spots is impressive. What I find especially interesting is the varied restaurant scene. It is heavily influenced by the many nationalities living there and therefore a unique mix between east and west. After looking into where to stay as demanding traveler, I will go into more detail on where to eat. 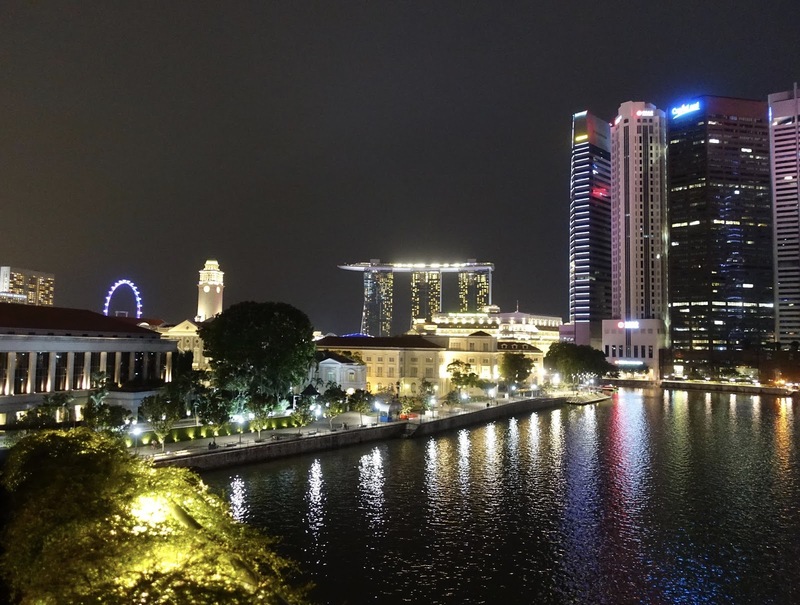 When it comes to which location to choose in Singapore, I would suggest that you go for a hotel near the Marina Bay because by doing so you are close to the major attractions and many restaurants. Having said this, I would not opt for the hotel adjacent to the Gardens of the Bay – there you are away from almost everything. 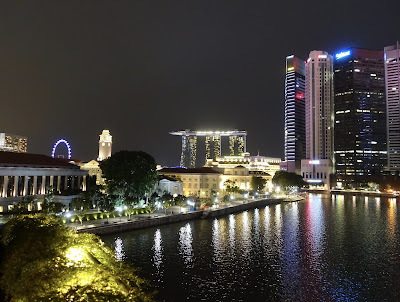 There are numerous luxury hotels in Singapore, which is not surprising … Here are the two we picked out for our vacation. When we planned our first stay there in 2015, we wanted to stay at a hotel representing the island’s colonial history. Therefore, our choice was obvious, it has to be the Raffles. No other hotel in Singapore embodies the city’s colonial spirit better than the Raffles! 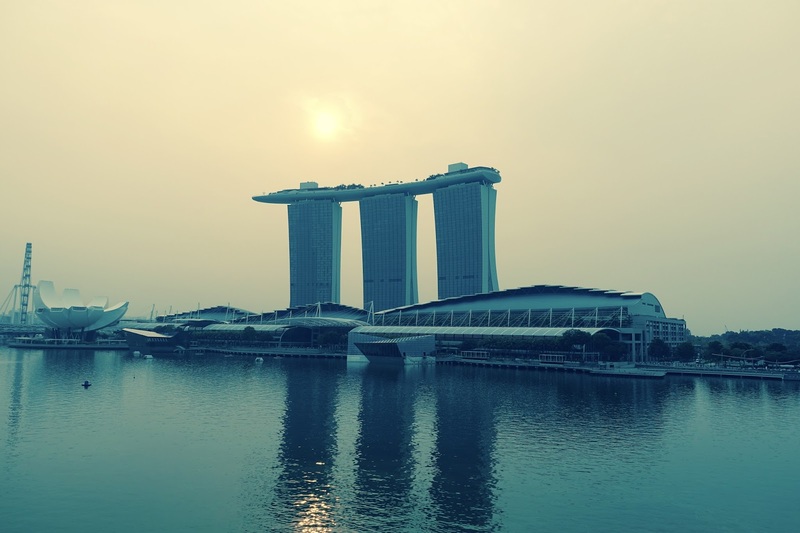 From there, you can reach the Marina Bay in about fifteen minutes by foot. We had a highly enjoyable stay at the Raffles! We encountered a well-appointed room, immaculate hotel facilities and friendly staff. What we liked best was the colonial atmosphere of the hotel. My detailed review of this hotel you find here. When we were in Singapore just a few weeks ago (our son does an exchange semester there), we opted for an even more favorably situated, contemporary hotel, the Fullerton Bay Hotel. Also this hotel’s performance was convincing. The room – go for a bay view room because of the view – is nicely equipped, there is a great pool/bar area on the rooftop and the staff is eager to please you. After having clarified where to stay, I am going to outline where to eat when looking for restaurants offering high-quality, modern and tasty food. I have to admit that we did not eat at the hotels mentioned, for various reasons. Mostly, it had to do with the style, the ratings with TripAdvisor and/or the price level. As a fan of innovative restaurants – although not such where the chef’s head is too much in the clouds –, where checks are not excessive, I can recommend the following ones. 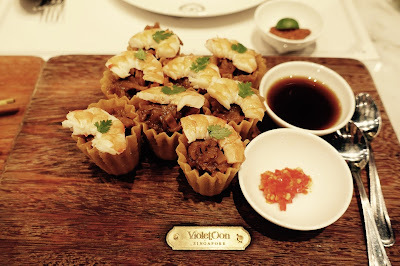 The places are divided into the categories of dinner, light lunch and other establishments in order to cover not only gourmet restaurants, but also places for a quick bite, especially for ones who have a sweet tooth – as I have it. This was the only Michelin starred restaurant we visited, but I had wanted to go there already the year before – no star yet –, but it had not been open at the time. This is the right place to go if you are into somewhat adventurous, but perfectly executed cuisine. The chef celebrates his own combination of western and local flavors, a real feast for the palate. The kitchen is open to the dining area, the chef does not hide behind a counter, but stands in front of you – we sat at the front table. The atmosphere is cool and hip, we liked it! 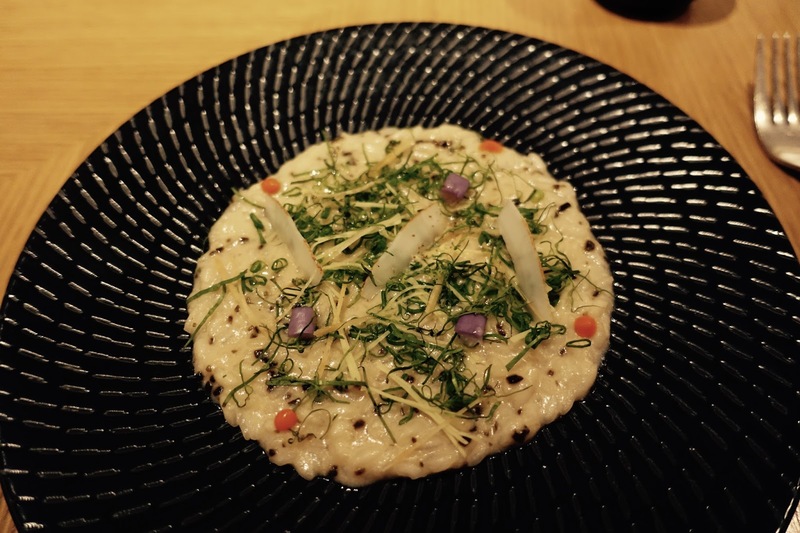 This intimate, but also cool restaurant offers beautifully presented, perfectly balanced and well prepared dishes, and all this reasonably priced. 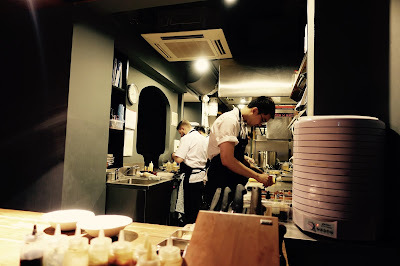 There is an open kitchen and you can watch the chef preparing the innovative dishes behind the counter. Service is friendly and knows its stuff. The location could not be more spectacular, amidst the National Gallery. If you want to taste Singaporean food, expertly prepared and nicely arranged, go there. Chinese, Malay and other influences are combined in a superb manner. The atmosphere is lively, a bit noisy and the decor is old-style. Staff is eager to help you if you do not know what to order. This restaurant serving Japanese style tapas is located in a trendy area with hip eating spots and bars. 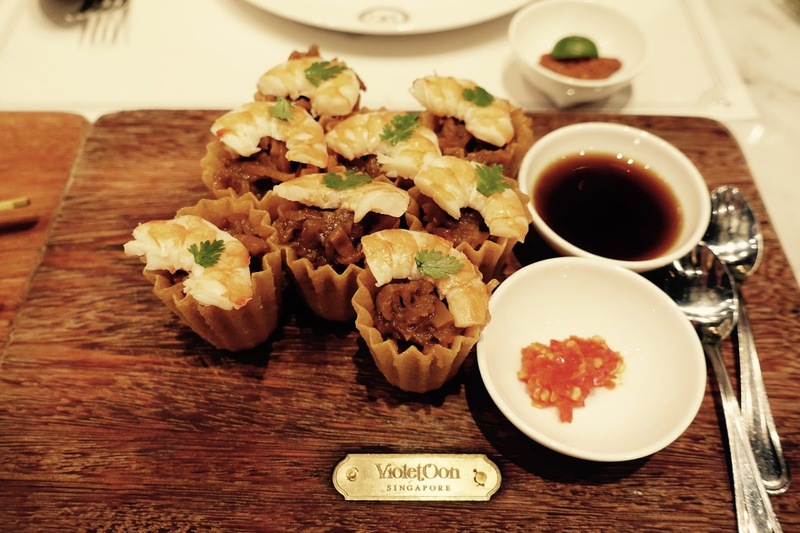 The cuisine is fusion style, featuring a creative and original approach. The quality of food is good, the ambiance is rather casual (only sitting at a bar counter). There are two Halia Restaurants, one in the Raffles Shopping Arcade, the other in the Botanic Gardens, both suitable for casual dining. They have similar menus, which are interesting, a bit off the beaten path. Dishes are well prepared and tasty, although portions are rather small and a little pricey. The atmosphere is pleasant – especially with the outlet in the green. We went to this place once for drinks after dinner and the other time for lunch, and it was an equally good experience. It is only a short walk from the Raffles and a good change to it. The atmosphere is nice and drinks and food are great. They offer a set lunch for lunch using high-quality ingredients and reasonably priced. Drinks are creative and tasty, served by lovely staff. You have the best views of the city from this bar/night club on the 63rd floor, but that’s it. You have to pay an entrance fee including a (weak) drink. Most of the tables are reserved, even if you arrive early and there are few people. But when asking, we were assigned a table. Go there for the unrivalled 360-degree views of the island, but not for a pleasant bar experience. This bar in Boat Quay is an amazing find! This rooftop spot not only has a nice vibe and great views – you see the new and the old city –, but also good drinks well-priced and attentive staff. In this ice cream shop they have a unique way to do ice cream. Ice cream is mixed with your choice of ingredients like fruits, nuts, cakes a.s.o. on a cold stone. This is certainly a new experience and yummie, too. This is the place to grab a quick bite. They offer a wide selection of refined bakery goods that are not only fresh, but also tasty. The cafe has a nice, quaint atmosphere and is busy, but staff helps you to find a seat. If you want to satisfy a sweet craving, go there and make your choice. They have a fantastic range of quick bites, sweet and savory. It is located in the lobby of tower 3 in the Marina Bay Sands Hotel. I have not been there – I did not find the time for it, although my son is living nearby – but I read the raving reviews at TripAdvisor and looked at the pictures/clips of their sweet treats. They really have an innovative approach how to do desserts. If you – by any chance – were there, please let me know how you liked it.